Are you a new driver needing to protect your licence? Free Consultation – Guaranteed 1hr response! Your first two years of driving can be the most exciting but it’s a time at which you are at your most vulnerable as a driver. Although you have passed your driving test and are deemed fit to drive, a lack of experience or simply bad judgement you can result in your driving licence being revoked by DVLA. The Road Traffic (New Drivers) Act 1995 introduced a two year probationary period for new drivers whereby the accumulation of six or more penalty points within the first two years of driving since passing your driving test will result in the revocation of your driving licence. With the introduction a 6 point penalty for driving whilst using a mobile phone on 1st March 2017, up to 6 penalty points for speeding and many other motoring offences having potentially more serious penalties, one mistake could cost you your driving licence so contact our expert road traffic lawyer immediately to protect it! It is important to note that a revocation is different from a disqualification. Unlike a disqualification which is imposed by the court and which prevents you from driving for a specified period, a revocation of a driving licence is carried out by DVLA which sees a driver revert back to a provisional driving licence meaning the practical driving test must be passed again before driving. They apply to all drivers who have obtained their full UK driving licence for the first time including those who have held a driving licence in another country. If 6 penalty points are accrued by a provisional licence holder then there will be no revocation as there is no driving licence to revoke. 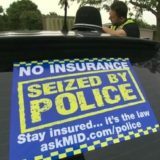 However, once the full UK licence is obtained if any penalty points whatsoever are accrued within the first two years the driving licence will be revoked. If six or more penalty points are imposed after the probationary period but the driving offences took place before the expiry of the probationary period then revocation of the driving licence will still take place. Revocation is different from a period of disqualification and so there is nothing to prevent someone from taking their practical driving test and if passed re-applying for a driving licence immediately after the revocation takes place. If disqualified from driving during the probationary period this has no effect on the probationary period itself. Once a full UK driving licence has been regained after revocation the two year probationary period no longer applies. 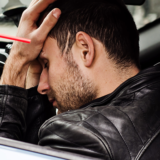 If you are a probationary/New driver and you have been offered a conditional offer of fixed penalty or charged with a motoring offence do not do anything without speaking to our specialist road traffic lawyer first. We offer a free initial consultation where we will assess your case and let you know your options. With 95% of our clients retaining their driving licence and a phenomenal rate of success in relation to all road traffic offences in Scotland we are supremely confident that we can save your driving licence, so contact our award winning expert road traffic lawyer on 0141 465 3333 Now!